As regular readers of this blog will be fully aware, one of the major hypotheses I forward in my book Unveiling the Apocalypse: The Final Passover of the Church, is that the "great mountain, burning with fire" being thrown into the sea in Rev 8:8 foretells a volcanic lateral collapse in the Canary Islands. Since the first edition of my book was published in 2011, I have specifically pointed to the threat posed by the volcano Cumbre Vieja in La Palma (see here for an earlier post on this subject dating back to 2011). It thus seems to be beyond coincidence that Cumbre Vieja has recently saw a surge of seismic activity, beginning on 7th October, 2017 - the Feast of the Holy Rosary, just over a week after the expiration date of the 40 day "Sign of Jonah" period, which began with the Great American Solar Eclipse on 21st August, 2017. The fact that Cumbre Vieja now appears to be showing signs of a possible imminent eruption has rattled a fair number of people familiar with my work, and there are even serious concerns among many others who are unfamiliar with this particular theory. So I thought I should take some time here to explain why I don't think we need to resort to an alarmist interpretation of this hypothesis just yet, as according to the timescale I present in the book, there are many other events which have to occur before this cataclysm will eventually take place. This is the primary reason why I tried to avoid linking this specific threat with the conditional chastisement at the end of the 40-day "Sign of Jonah" period, since I believe that there is still some time left before the true threat from Cumbre Vieja comes into play. Instead, I suspect that the true threat at this particular moment in time stemmed from North Korean nuclear crisis, which peaked within the timeframe associated with the 40 days from the Great American Solar Eclipse, and quickly eased off again after 30th September, 2017, when US Secretary of State Rex Tillerson announced that a "back-channel" of communication had been opened in order to ease diplomatic tensions. Hopefully this period saw the peak in the level of heated rhetoric between America and North Korea, as the only options beyond this current nuclear impasse are too terrible to contemplate. LA PALMA volcano’s red-hot magma has risen after its recent flurry of earthquakes causing the ground on the Canary Islands to “significantly” rise above ground level, experts said. Volcano experts discovered the ground in the area surrounding local hotel Teneguia Princess hotel has risen by about 1cm to the south and 3.5cm upwards over the past year, according to GPS sensors regulating ground deformation. The shocking results from the Volcanological Institute of the Canary Islands (Involcan) come after the archipelago was rocked by two separate seismic swarms in the area surrounding the deadly Cumbre Vieja. One of the world's leading experts in volcanology, Professor Takeshi Sagiya, from the Nagoya University, described the GPS data as ”significant". He said the recorded change in height looked significant compared with the changes in the last year. Volcano experts discovered the ground in the area surrounding local hotel Teneguia Princess hotel has risen by about 1cm to the south and 3.5cm upwards over the past year, according to GPS sensors regulating ground deformation. 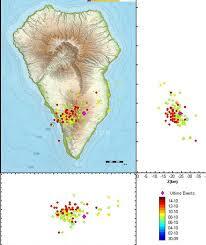 The shocking results from the Volcanological Institute of the Canary Islands (Involcan) come after the archipelago was rocked by two separate seismic swarms in the area surrounding the deadly Cumbre Vieja. One of the world's leading experts in volcanology, Professor Takeshi Sagiya, from the Nagoya University, described the GPS data as ”significant". He said the recorded change in height looked significant compared with the changes in the last year. Many prominent geophysicists believe that when this lateral collapse does eventually unfold, it will generate a mega-tsunami that will devastate the East Coast of the Americas. An event which I argue in the book will bring about the collapse of the United States as a superpower, and ensure the rise of the Antichrist to global dominance. The Greek phrase καὶ πᾶσα νῆσος ἔφυγεν rendered here as "every island fled away" can also be translated as "the whole island disappeared" (the word pasa can mean either "every" or "whole"), which better fits with the other material related to the judgement of Babylon found in the Apocalypse. If this passage is related to the "great mountain, burning with fire" being thrown into the sea, then we can see how the description of the disappearance of an entire island could be explained by a large-scale volcanic eruption, which would be possible if it was equivalent on the Explosivity Index to that at Krakatoa in 1883, or Thera (Santorini), circa 1600BC (see my earlier post The Santorini Eruption and the Apocalyptic Plagues of Exodus). Behold, a day is coming for the Lord, when the spoil taken from you will be divided in your midst. For I will gather all the nations against Jerusalem to battle, and the city shall be taken and the houses plundered and the women raped. Half of the city shall go out into exile, but the rest of the people shall not be cut off from the city. Then the Lord will go out and fight against those nations as when he fights on a day of battle. On that day his feet shall stand on the Mount of Olives that lies before Jerusalem on the east, and the Mount of Olives shall be split in two from east to west by a very wide valley, so that one half of the Mount shall move northward, and the other half southward. And you shall flee to the valley of my mountains, for the valley of the mountains shall reach to Azal. And you shall flee as you fled from the earthquake in the days of Uzziah king of Judah. Then the Lord my God will come, and all the holy ones with him. On that day there shall be no light, cold, or frost. And there shall be a unique day, which is known to the Lord, neither day nor night, but at evening time there shall be light. On that day living waters shall flow out from Jerusalem, half of them to the eastern sea and half of them to the western sea. It shall continue in summer as in winter. This description of light appearing during the evening and living waters flowing out of Jerusalem after the occurrence of the eschatological earthquake recapitulates an earlier passage in Zechariah. A block of material which has been explicitly identified with the appearance of the Sign of the Son of Man by several Early Church Fathers, including St. John Chrysostom and St. Cyril of Jerusalem. According to the Early Church Fathers, this portion of the Book of Zechariah was directly related to the conversion of the Jews at the end of the age during the appearance of the Sign of the Son of Man. The Catechism teaches that the conversion of the Jews must take place before the Second Coming of Christ. So if the timing of the eschatological earthquake directly coincides with the appearance of the Sign of the Son of Man over Jerusalem, and the judgement of Babylon is only carried out after this event, as is indicated by Rev 16:17-20; then we can only be left to conclude that the bringing in of the fullness of the Gentiles must begin some time before the Cumbre Vieja event, and it will only take place when this commission is completed. According to St. Paul in chapter 11 of his epistle to the Romans, the fullness of the Gentiles must be brought in before the conversion of the Jews - an event which the Early Church Fathers believed would be accompanied by the appearance of the Sign of the Son of Man and the eschatological earthquake in Jerusalem. 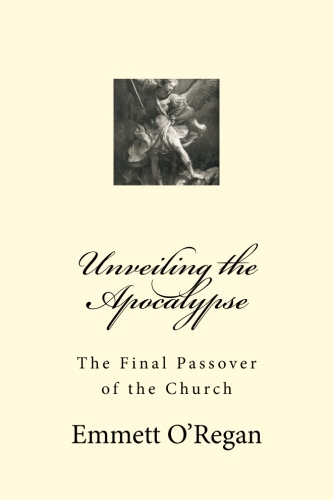 It is only after the inclusion of the fullness of the Gentiles that the conversion of the Jews takes place, coinciding with the eschatological earthquake - which itself causes the "burning mountain" of Revelation to be cast into the sea, bringing about the destruction of the eschatological world empire. And the fullness of the Gentiles can only be brought into the Church after the period of the unbinding of Satan, when the Gospel can once again be spread throughout the world. As St. Augustine noted, the binding of Satan is purely concerned with the spread of the Gospel, and once the period of the loosening of the Devil is over, Satan would once again be restrained in order to allow for the spread of the Gospel to bring about the restoration of the Church. The devil, then, is bound and shut up in the abyss that he may not seduce the nations from which the Church is gathered, and which he formerly seduced before the Church existed. For it is not said that he should not seduce any man, but that he should not seduce the nations — meaning, no doubt, those among which the Church exists— till the thousand years should be fulfilled, — i.e., either what remains of the sixth day which consists of a thousand years, or all the years which are to elapse till the end of the world. ...in these days there shall be no lack either of those who fall away from, or of those who attach themselves to the Church; but there shall be such resoluteness, both in parents to seek baptism for their little ones, and in those who shall then first believe, that they shall conquer that strong one, even though unbound,— that is, shall both vigilantly comprehend, and patiently bear up against him, though employing such wiles and putting forth such force as he never before used; and thus they shall be snatched from him even though unbound. And yet the verse of the Gospel will not be untrue, Who enters into the house of the strong one to spoil his goods, unless he shall first have bound the strong one? For in accordance with this true saying that order is observed— the strong one first bound, and then his goods spoiled; for the Church is so increased by the weak and strong from all nations far and near, that by its most robust faith in things divinely predicted and accomplished, it shall be able to spoil the goods of even the unbound devil. For as we must own that, when iniquity abounds, the love of many waxes cold, Matthew 24:12 and that those who have not been written in the book of life shall in large numbers yield to the severe and unprecedented persecutions and stratagems of the devil now loosed, so we cannot but think that not only those whom that time shall find sound in the faith, but also some who till then shall be without, shall become firm in the faith they have hitherto rejected and mighty to conquer the devil even though unbound, God's grace aiding them to understand the Scriptures, in which, among other things, there is foretold that very end which they themselves see to be arriving. And if this shall be so, his binding is to be spoken of as preceding, that there might follow a spoiling of him both bound and loosed; for it is of this it is said, Who shall enter into the house of the strong one to spoil his goods, unless he shall first have bound the strong one? So it is rare alignments of all seven classical planets which mark the opening and closing of the abyss at the end of the thousand years via the "keys of Death and Hades", which is also closely connected to the seven burning mountains which stand at the entrance to Hades in the Book of Enoch (see here for an earlier post which delves into this topic in more detail). The bringing in of the fullness of the Gentiles can only begin once the ability of Satan to blind the minds of unbelievers to the truth of the Gospel has once again been broken, which will occur at the end of the period of greater power allotted to him. It is only once there is another falling away from the faith after the Gospel has been proclaimed throughout the whole world during the restoration of the Church that we will see the destruction of the eschatological world power referred to as the "harlot of Babylon". Throughout the Bible, the epithet "harlot" is used to denounce the treachery of the nations of Israel and Judah, and indicates a covenantal relationship with God. So the "Babylon" of Revelation is undoubtedly a Christian nation which eventually turns its back on God, and pays the ultimate price as a result. After all these calamities have arrived, many will recognize the hand of God on them. They will convert, and do penance for their sins. A great king will go up on the throne, and will reign many years. Religion will re-flourish and spread all over the world, and there will be a great abundance. The world, glad to be lacking nothing, will fall again into disorder, will give up God, and will return to its criminal passions. So the combined evidence suggests that the judgement meted out on the eschatological world power "Babylon" will only take place after the restoration of the Church, and occurs as a direct result of the greater responsibly that has been heaped on that nation. It seems in all likelihood that America is destined to become a great Catholic nation, and once it turns its back on God after experiencing this mass conversion, it can expect its folly to be met with disastrous consequences. We can only be left to conclude that these recent rumblings at La Palma serve as a forewarning of the fate that lies in store for America once it rejects Christ after being brought into the sheepfold. The fact that this seismic activity at La Palma occurred so soon on the back of the "40 days of repentance" beginning with the Great American Solar Eclipse is certainly beyond coincidence - especially in light of the plethora of other significant events which unfolded during this time period. It seems that God is signalling that He wishes to give America a second chance, just as he extended towards the Israelites after the idolatry of the Golden Calf. Even though Moses smashed the first set of tablets containing the Decalogue as a result (an event I show in the book is symbolised in the events of 9/11), he interceded for the Israelites during a forty day period of repentance, before eventually bestowing the second set of the tables of the Law, and the nation of Israel entered into a full covenantal relationship with God. Could this offer of a second chance and a covenantal relationship with America be what was really signalled by all of these recent events? Either way, it seems that this recent activity centring around Cumbre Vieja is merely a warning of a fate which lies in store in the future, rather than an immediately imminent event. Can a Pope Teach Heresy in his Ordinary Magiserium? "In cases like these, the theologian should avoid turning to the "mass media", but have recourse to the responsible authority, for it is not by seeking to exert the pressure of public opinion that one contributes to the clarification of doctrinal issues and renders servite to the truth." So since the authors of the Filial Correction have turned directly to the mass media in order to present their dissent to Amoris Laetitia (which is part of the Ordinary Magisterium of Pope Francis), this action was made in direct contravention of the guidelines for dissenting theologians outlaid in Donum Veritatis, and should therefore be considered illicit. In banding together to form a "parallel-magisterium" which aims to "correct" the Ordinary Magisterium of Pope Francis, the authors of the Filial Correction have brought about a great source of confusion and harm to the faithful. This false accusation railed against Pope Francis, claiming that he is teaching or promoting heresy in part of his Ordinary Magisterium is in effect a denial of the one of the essential truths behind the teaching authority of the Roman Pontiff, who is granted Divine assistance which prevents him from erring in matters of faith and morals, even when teaching non-infallibly. If we are to reject this essential truth, then the entire edifice of Catholic theology comes crashing to the ground. 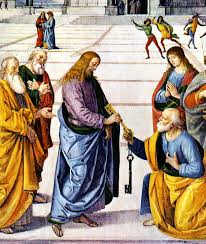 Once broken down to its constitute parts, this false accusation amounts to nothing less than a charge of formal heresy against the Pope himself, and cannot be recognized as anything other than an attempt to precipitate some form of schism within the Church, renting apart the seamless garment of Christ. I've finally been given proper credit for discovering the links between the Bur Sagale eclipse of 763BC, and the total solar eclipses which formed a cross over the site of ancient Nineveh at either end of the period of the unbinding of Satan/prophecy of Pope Leo XIII, on 21st August 1914, and 11th August 1999. See the YouTube video above. It was Pastor Steve Cioccolanti whose video on this subject went viral just before the Great American Solar Eclipse, and whose video was recommended by Anne Graham Lotz, the daughter of world famous preacher Billy Graham (see here). Pastor Steve Cioccolanti proposes that the real reason Pastor Mark Biltz did not give me credit for this discovery was because I am Catholic. Perhaps he thought that if his audience discovered that this idea came from a Catholic source, it would instantly lose credibility, and subsequently be overlooked. So, perhaps his motives were more well-intentioned, and his main concern was in getting the message out there that the timing of the Great American Solar Eclipse appeared to suggest that some form of threat was looming over the nation, and that its people needed to be brought to repentance. Given the series of natural disasters which took place during the 40-day period from the eclipse to the date of Yom Kippur/Michaelmas (many centred on apparition sites, or places with Catholic themes), combined with the sudden spike in tensions in the North Korean Nuclear Crisis, it seems undeniable that some form of warning was being given to humanity. This is quite likely the closest point the world has come to seeing nuclear conflict since the Cuban Missile Crisis of 1962. As I observed in my original blog post on this subject The Sign of Jonah and the Binding of Satan, it seemed most likely outcome of the end of this 40-day period of repentance was when the world would once again be spared from the threat of nuclear war, when the hand of the angel with the flaming sword would be stayed for a period of penance.